Ostad Elahi’s written works published to date are Demonstration of the Truth (Borhan ol-Haqq, 1963), Commentary on the Book of the Kings of Truth (Hashieh bar Haqq ol-Haqayeq, 1967), and Knowing the Spirit (Marefat ol-Ruh, 1969). Two volumes of his oral teachings entitled Traces of Truth (Asar ol-Haqq, 1978/1992) have also been compiled and published through the efforts of his son Bahram Elahi, MD. Published in 1963, Demonstration of the Truth presents the first authoritative and comprehensive treatise on the history, origins, beliefs, principles, rites, and tenets of the mystical order of the Ahl-e Haqq. This seminal work serves not only as a reference for researchers and Orientalists who wish to study the tenets of the Ahl-e Haqq, but also as a guide for the members of the Ahl-e Haqq community themselves so that they can acquire a correct understanding of the source and origins of their order. The publication of this work is considered an important milestone in the history of the Ahl-e Haqq because the order’s doctrines and principles had never before been compiled and codified. Over time, the tenets of the Ahl-e Haqq community—geographically dispersed throughout Iraq, Syria, Turkey, Azerbaijan, and Iran—have undergone multiple transformations as evidenced by variations in the observance of their traditional rituals, as well as disparities in their core beliefs. These differences have led to the separation of the community into individual (and often opposing) groups, each of which considers itself as the true followers of this order notwithstanding their disagreements. At the same time, the clandestine nature of their rites and rituals has rendered any efforts at a doctrinal unification difficult. Ostad Elahi conducted his research on the basis of a profound understanding of the sacred scriptures (Kalam) of the Ahl-e Haqq and other religions, especially Islam, as well as a thorough knowledge of hermeneutics. Thus, the various chapters of the book explain in detail subjects relating to the beliefs of the Ahl-e Haqq, including its cosmogony, clarification of its terminology, the principle of theophany, eschatology, and the various levels of the Truth. Throughout these chapters, the author describes the different stages of religion and focuses in particular on its spiritual and inward dimension. 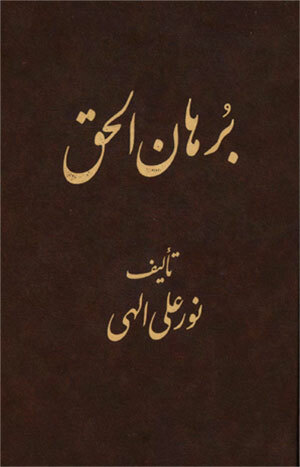 The appendix presents Ostad Elahi’s answers to the multitude of questions raised by readers after the publication of the first edition. The writing style of Demonstration of the Truth is singular and precise. Scrupulous care was taken in its preparation based on a critical and meticulous review of all available sources on the subject. In addition, the book outlines and chronicles the beliefs of the various groups among the Ahl-e Haqq. Demonstration of the Truth therefore constitutes reliable and critical documentation of a tradition whose foundations and authentic principles would have gradually been lost over time without such a painstaking effort to accurately record and preserve them. The book also unveils genuine practical aspects of spirituality, so that alongside its clarification of the internal affairs of the Ahl-e Haqq, one can also find explanations and recommendations for acquiring a correct understanding of spiritual practice based on a true spirituality, without insisting on any particular doctrine or ideology in the process. To date, Demonstration of the Truth has been reprinted numerous times. Purity has been set forth categorically and as such bears a universal meaning that is applicable to anything that is capable of purity. The Ahl-e Haqq must therefore be pure both inwardly and outwardly in every sense; externally, their bodies, clothing, home, livelihood, and food, and inwardly, their thoughts, words, behaviors, and actions should all be completely pure, clean, and sincere. Rectitude is to follow the straight path, which is to observe divine prescriptions and avoid divine proscriptions; in sum, the straight path refers to serving God and refraining from lies and transgressions…. Self-effacement is to rid oneself of all pride, arrogance, conceit, selfishness, impulses of the imperious self, passionate uprisings, and moral vices, and to be entirely resigned to destiny while seeking nothing but divine satisfaction; in sum, to lose oneself and become annihilated in God, or as the mystics and philosophers would say, to have completed the stage of contentedness and to have reached the level of resignation, which is the ultimate stage of mysticism.